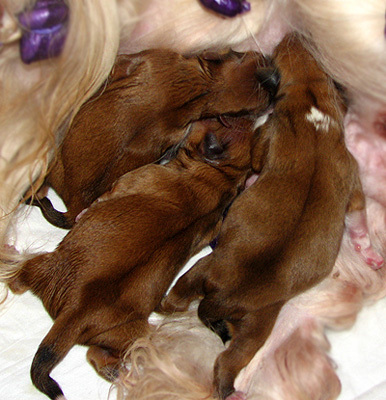 Our second litter was born on the lucky day – 12.12.2012! We had two girls and one boy born – Bailee, Bella and Brooklyn. They are all champions now. The dam of the litter is our “Ally”, BIS Ch. Orlane´s All Too Easy, and the sire is “Turner”, Am Ch. Orlane´s Turning Heads. Since the day I came to Orlane kennel for the first time, I loved Turner, Am Ch. Orlane´s Turning Heads. 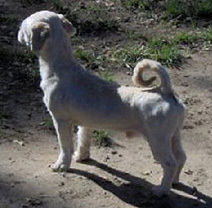 He is a very classical Orlane looking male with lots of neck and style. He has a beautiful clean head, straight front legs, perfect topline and rear. He also is of a correct size, lovely black pigment and deep gold color. “Turner” was 10 years old when we bred Ally to him. He has proven himself as a sire to some fabulous offsprings at Orlane. He carries the bloodlines of the old famous dogs and top winners. His pedigree is basically pure Orlane dogs, as when you go further down the generations you will see that through the fantastic work of Jullie Elliot and Melissa Papke. Turner carries on the legacy of amazing lhasa apsos. He was shown only as a young dog and only until he finished his title, which happened very fast. But he lives a happy and ritch life at Orlane as a cutdown friend. There really has been a lot of luck all along the way of these puppies. 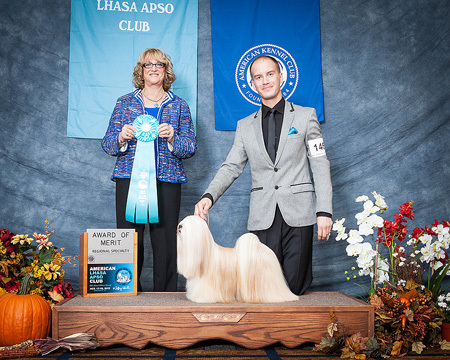 Perfect timing for Ally´s season and perfect timing for American Lhasa Apso Club National shows. That is where the mating happened, along the way of Ally´s wonderful winning at those shows. I am grateful to all my wonderful friends who made this happen. Linda Kendal Smith, Melissa Papke, Dorothy Joan Kendal. Thank you for being there for me.